If it seems like we’ve been a little bit busy and distracted lately, you’d be right. Soon Baby Girl’s gonna be eating her feet in a new place. Yup, we’re moving. To Utah. In two weeks. Gulp. Our lives have been a whirlwind for the last couple of months, beginning in May when the company Johnny worked for laid off 20% of its employees, including Johnny. It was life as usual and then suddenly 2/3 of our income had performed a very unexpected disappearing act. As you can imagine, this turn of events greatly impacted our budget, which we’ll talk about more in the coming weeks. And Johnny cycled through all the emotional stages of job loss, including the part where you get a new job (hooray!). We found this, this, and this post especially relevant during these last few months. While we were making decisions and as Johnny was interviewing for jobs in Los Angeles, Dallas, and Salt Lake, we kept asking ourselves over and over, What’s our end game? Which job will help us accomplish it? Which ultimately led to Johnny accepting this new job. He’ll have a better work-life balance — a separation between work life and home life (yay! ), and a commute that’s short enough for him to come home for lunch! We’re thrilled. And excited. And overwhelmed/stressed to the max. But mostly just very thankful and really excited. We’re not sure that Utah fits our forever place bill, but right now it’s the place for us to be. Now, can someone please tell us how to keep from pulling a fast one on our budget during this whole moving process? K, thanks. Congrats Johnny and good luck to the whole family on your move!! Wow Utah that’s so exciting! Congrats on the new job and good luck on the move! Congrats on the new job! It is great that you all will be able to spend more time together! Good luck on your move! Thanks, Halsy! Work-life balance was one of our main reasons for accepting this job over other offers! Congrats!! Utah is SO BEAUTIFUL!! But good luck not busting the budget with the move, I’m moving the day after tomorrow and have had to just save and save and save for this and now accept the fact that it is NOT cheap. Thanks, Emily! And, I hear ya… the move is so very expensive! We’re gonna buckle down the first couple months in our new place to offset how fast money is leaving our wallets right now! Congratulations! Moving is stressful, but definitely exciting. Good luck. Thanks, Brad! My head is about to explode from all the stress right now! I just have to tell myself it will all be over soon! The best suggestion I have is to make sure you leave some sort of food/eating utensils in an easy-to-get-to place. When my husband and I moved for the first time, we didn’t really think about that and wound up blowing.up.our.budget. on fast food. A little bit of preparation before hand plus some smart thinking literally would have saved us at least $100 bucks! Thanks, Sarah! Been there, done that, too. We’ve got paper plates plastic forks and cups at the ready! Since we’re trying to finish off all our old food, we’re not eating the most delicious stuff right now, but it’s definitely saving us moolah! I hope you end up liking SLC! It’s one of my favorite areas for snowboarding! I’ve had to move a lot over the last few years, but all of my best money-saving techniques for moving won’t work very well unless a few things are already in place. For example, I bought a 5×8 trailer when I knew I’d only be living in an area for a year. It was cheaper to do that than to rent a trailer twice! The other thing was getting rid of a lot of stuff so that I could move myself in just one trip, but if you’ve already spent money on nice furniture, that’s probably not a great option! Thanks, those are great tips, Becky! Johnny loves snowboarding, so he’s especially excited about that aspect of the move! Sorry to hear about the job loss, but glad that you guys are coming out on top and ready for a new adventure. Have we seen Utah in the forever state series yet? =). Best of luck with the move – and even if you’re driving a truck yourselves, don’t hesitate to spend a couple hundred bucks to hire guys to load and pack everything. It’s like they play 3D Tetris with your stuff and fit more in with less breakage! Congratulations on the new job and good luck on your move! Thanks, Jodi! We love a new adventure! You guys know I went through a layoff, and it is HARD. Especially knowing there are little people depending on you. I’m glad Johnny got situated so quickly and a move with a baby is interesting! I’ve moved five times with kids and the most helpful tip I have is, if you do nothing else when you arrive, set up Baby Girl’s room and any other area she needs, the MOMENT you arrive! Having things as familiar as possible to her will ensure smooth transitions. Other than the colors of the walls, with every move we set up the kids’ rooms almost exactly as they had been previously!! Yes, the layoff was super not fun when it first happened. We feel very blessed to be over and done with that part. And great tip on getting Baby Girl’s room set up ASAP! She slept horribly on our trip because everything was unfamiliar, so getting her new room set up quickly in our new place will be key to all of us staying sane! Congratulations! I’ve only been to Salt Lake City once but it was beautiful. Thanks, Carrie! The mountain backdrop of SLC is gorgeous. We’re excited! So excuse the long post but I just moved across the country (Denver to DC, so kind of along a similar part of the country) and know a few things about busted budgets. $811.37 Budget 16′ truck at 47% off! I learned that Budget trucks are much cheaper than UHaul but seat two people in bucket seats instead of three in a row seat. It seems like it would be much cheaper to tow the car instead of drive it. It’s only $140 or so for the towing piece. Gas has to be more, plus there’s the mileage. Don’t hate on me Johnny but I would put Joanna and BG on a plane and do this drive, with the car on the back, alone. It wasn’t so bad as a party of one with Pandora! I loaded up a cooler with ice and packed any things left over in my fridge for the road. Vitamins that are supposed to be refrigerated got ruined, so I would definitely put them in a Ziplock. Everything else made good snack food. Red Roof Inn was the cheapest, but Drury has free breakfast. I got a great deal at Drury, but I think the night check in guy felt bad for the ragged female driver, so he offered the $79.99 without me even asking. Night three was with a friend. Gas is expensive in IL so avoid that if you can. It’s hard to go to drive throughs with a big truck so it’s easier to bring food or get it when you get gas anyway (which is nice because it’s generally cheaper). For me, movers were worth the cost. I’m a household of one, so I needed an extra set of hands. Plus, I’m not so strong. The Budget website is where I got the deal. There was a 20% off deal and then I combined that with another deal somehow. Good luck! Let us know how it progresses! Awesome comment. And it actually mirrors a lot of the same costs for our move. Granted, my company is covering relocation, so some costs we were able to splurge a little more than usual (like hiring a moving company to handle our stuff), but that didn’t stop me from still finding ways to save money. As you might have read, we heeded your advice and I took our car solo while Joanna flew with Baby Girl and Persie. She handled it like a trooper. And I actually enjoyed the drive solo listening to the Steve Jobs biography with my cooler of drinks and snacks. I made similar pit stops as you: first night in Louisville, KY, second night in Colby, KS. And I made sure I stayed at places with complimentary breakfast. On our first cross-country move from UT to NYC, I also discovered the Budget truck savings over U-Haul. The price was almost identical to yours with the discount we found online somewhere. Thanks for the breakdown and tips. Hope your move went well, too! Congrats on your new job. Last time I was in SLC it was gorgeous…rained the whole time and required a hoodie. I was in heaven. Not to mention all the awesome architecture going on there. That was my favorite part. I’ve never moved cross-country before. OR really anywhere not within a 20 mile radius. So I wish I had some awesome advice for you but alas, I do not. If I were doing the same move as you though, I would probably extensively plan out everything. I figure you can save way more money by knowing what you’re up against. Obviously, you know that so good luck and welcome back to the West! We’re glad to be back West. No one appreciates that dry, dry, desert air more than me. Friends and family for the packing and definitely tow the car. With the number of nationwide blogger friends you have now I would send out a friendly plea to let you guys crash at peoples houses along the way. Free food and accommodations! Our doors are open, but I don’t think I’m on your route. Side Note: My wife sold pretty much everything we owned on Craigslist before we moved last time, but I wouldn’t count that as a budget saver unless you were planning on replacing some furniture anyway. We ended up parting with a few things on Craigslist, but we intend to a lot more selling now that we’re in Utah. We just didn’t have enough time between accepting the job and moving out to make it happen. Best of luck with the move and new job! Thanks, Britt! All went well on the move. Now fingers crossed on my first day at work this week! Wow, congrats on the new position and move! My wife and I are thinking about making a cross country move soon, as well, so I’m interested in how it all goes for you guys. Hopefully your budget doesn’t take too much of a hit during the move! All went swimmingly. This is cross-country move #2 and we’ve found that the more we plan ahead with lots of details, the better suited we are for all the unexpected surprises. 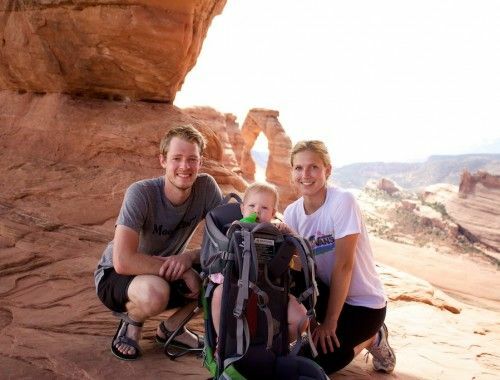 We stayed on budget with the actual moving aspect, but once we arrived in Utah, that’s when some spending went a little off track. Well, I guess I missed my chance to meet you guys here in NC! Congratulations on the new job and expected work/life balance though! SLC should be interesting. I interviewed for grad school there and I think it would be a great location if you’re into winter sports! Bummer. We wanted to get together with a bunch of NC financial bloggers but I guess that will have to wait. SLC is the mecca of winter sports, but there’s actually a ton of great summer sports here, too. Rock climbing, mountain biking, hiking, etc. You’ve definitely got to love the outdoors to get the most of the state, so we’re going to do our best to not take our new home for granted. Hey dude! Congrats on the new job. I’m only too aware of the stress involved in changing jobs and changing cities. Over my long career, before retiring last year, I had worked full time for a dozen employers located in two different Canadian cities. I’m assuming that Joanna will still be “gainfully employed” after you guys relocate to Utah. One good thing of course is that you will finally kiss that noisy neighbour of yours goodbye, eh? I would suggest that perhaps Johnny can negotiate something with his new employer to get some financial assistance with the moving expenses. It’s worth a shot – you don’t get if you you don’t ask. Now’s the time while he’s in the “honeymoon stage” with his new employer. Best of luck, you guys. Everything happens for a reason. No worries, no looking back. I made sure the moving truck blocked our noisy neighbor’s driveway the morning of our move. I was fortunate to have all our relocation costs covered by my new employer, so we were afforded a few more luxuries with this move than normal (movers, room/board, flight, etc.). And definitely no worries, no looking back. Great advice. That’s so great Johnny found something else quickly! Being unemployed is not fun at all – my dad was laid off twice, and the last time he never bounced back. Living on one income is extremely stressful. Utah should be an interesting journey, especially with Johnny being able to have a better work/life balance. That is something that would be a high priority for me, too. My parents just did a 12 hour move by themselves, and it took us two days to pack the truck. I think the truck was about $1,200 (they got a discount from AAA – it works even if you know someone that has it), and they chose to tow my mom’s car, which was another $500. I think the biggest expense was food during the packing days, as they had everything packed except for a few utensils and one pan. There was pizza, chinese food, Burger King and 7-11 (the very last night). While they made some money from the sale of the house, it was killing me to see them spend so much on food in four days. They are now happily situated with a lower cost of living though, so it was worth it to them. I feel extremely fortunate that I was able to bounce back so quickly. I realize that for many, unemployment lasts a lot longer, so I’m counting my blessings to be back on my feet. We made sure to leave out plasticware and any food that was perishable (i.e., wouldn’t come with us) or almost done (like cereal, pasta, etc.) and we ate that for the last three or four days in our old place. That helped us save quite a bit on food costs. Glad to hear your parents are moved and enjoying cheaper cost of living! Congratulations! Salt Lake is a beautiful city – it just takes a little time to get used to the funky address system! And I’m all about living close to work, so that should be a HUGE bonus! Best of luck with the move. Can’t say I envy you with that part. I’m sorta planning on never moving again… at least not until I’m old and infirm and they haul me kicking and screaming off to some nursing home! The addresses our NUTS! I mean, it makes sense I guess. Once you figure it out, it makes a lot more sense than Willow Brook Road and Old Steeple Road. But it’s still weird. The move went great. Hardly any complaints or hiccups. We’ve still got some stuff to unpack, but we’ve got beds, food, and computers, so we’re doing alright. We’ve probably got a move or two before the nursing homes come calling, but best of luck with your plan! The transition will go smoothly for you because you live a financially sensible life and were prepared for an emergency. It would be interesting to hear the stories of some of the other, less sensible, people who did not have a plan in place. I am one of those unprepared people. I had 3 things break last week and now I have a balance on my credit card. I still have my job but more outsourcing has been announced so who knows what could happen next. 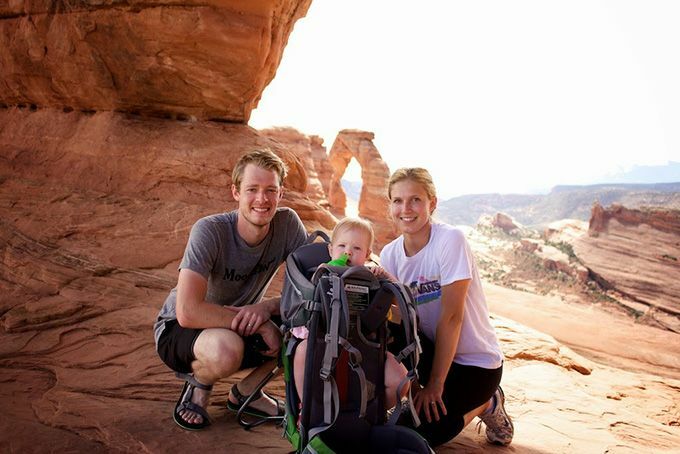 Utah looks like a wonderful place to raise children. We’re glad that we had a few safeguards in place before it hit, but it definitely makes you hyperaware of the things that can be improved. I certainly wouldn’t wish this process on anyone, but it’s been a good learning experience for us. Tough break on the broken stuff. Hopefully you’ll bounce back quickly and kick those credit card balances to the curb. Congrats on the new job and move! I love Salt Lake! Great weather and nice people. Good luck! “Great weather and nice people” is a great way to sum it up. I might change my mind about that though come winter. WOW! Big moves ahead! The things that always threw me off when moving were more decorating type expenses – aka I have no curtains or curtain rods and all my neighbors can creepily stare at me kinds of expenses. Or – turns out my roommate who moved out owned all of the spoons and bowls kinds of expenses. I love your blog and can’t wait for the chronicles of your new adventure! Thanks for sharing your lives with us. The decorating expenses are definitely going to hit us hard this month. We need curtains for Baby Girl’s room since it stays light out here so late, a new dining table, blah blah blah, cha-ching cha-ching cha-ching. Congratulations on the new job and adventures ahead. Sometimes it is so hard to focus on the good when things fall apart for a little while. Upwards from here! We didn’t have to move as far as you will, but we’ve been there with the job loss. It is a doozy of a place to be in this economy. Yay for finding something so quickly! Good luck! It was definitely a roller coaster of emotions and I’m glad to have this period of my life behind me. BUT, I’m so grateful it went as smoothly as it did. And I absolutely cherished the time I had to spend home with my little girl during there first few months of her life. Wouldn’t trade that for the world. Thanks for the well wishes, and hope you’re likewise doing great. Congrats on the new job. Despite the difficult circumstances, it sounds like it will be a positive change in the long run. Having a close commute sounds awesome. Good luck with the move — hope it all goes smoothly! Thanks! Honestly, this entire process was a blessing in disguise. Things happened the way they were supposed to and we feel really fortunate about everything. Fingers crossed it continues to pan out well. Don’t worry about keeping up with the blog, between now and then. I can’t imagine any of your readers will stop coming back to see what’s new. Thanks, Cait! 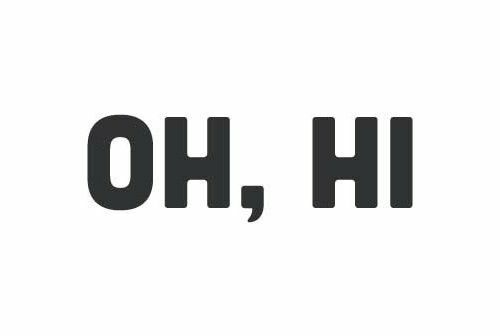 We’ve definitely slacked the last month on the blog (as evidenced by this response, oh, three weeks later), but we should be getting back on the horse soon. And you’re right, all of our greatest fears that no one would ever visit us ever again if we didn’t post every.single.day didn’t materialize. Phew. Congrat on the new job and the move. Our baby is not in that stage where she want to grab everything to see if she can put it in her mouth. 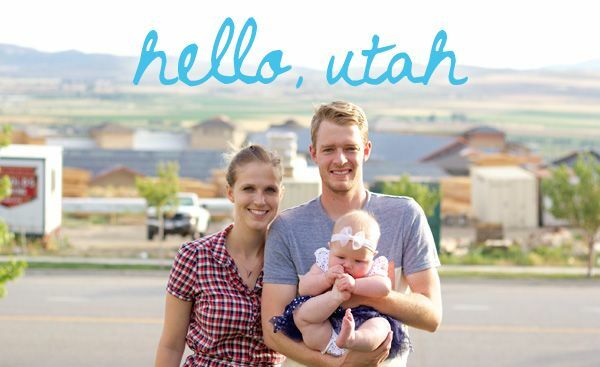 Moving to Utah sounds interesting, not sure it thats the place I would call forever home either but for now your family can make it home and be happy. Its great having a family work balance. Coming home for lunch is awesome. Ahhh! The grab to mouth phase! Our girl is totally obsessed with putting EVERYTHING in her mouth. It’s out of control. Nothing beats lunch at home. Cheaper, great way to break up the day, get to see my little lady and whatever she’s managed to put in her mouth. It’s great. If you want to make a little bit of extra cash, figure out a way to send a Pork Salad with shredded lettuce to Houston. Without it getting soggy. I will pay handsomely. So so so good. We can’t get enough Cafe Rio and In-N-Out right now. If there’s good money in the Pork Salad black market, we’d love to be your suppliers.